Recent high-profile moves — and near moves — for Major League Soccer players are signalling a shift in how the league is perceived on the world stage. 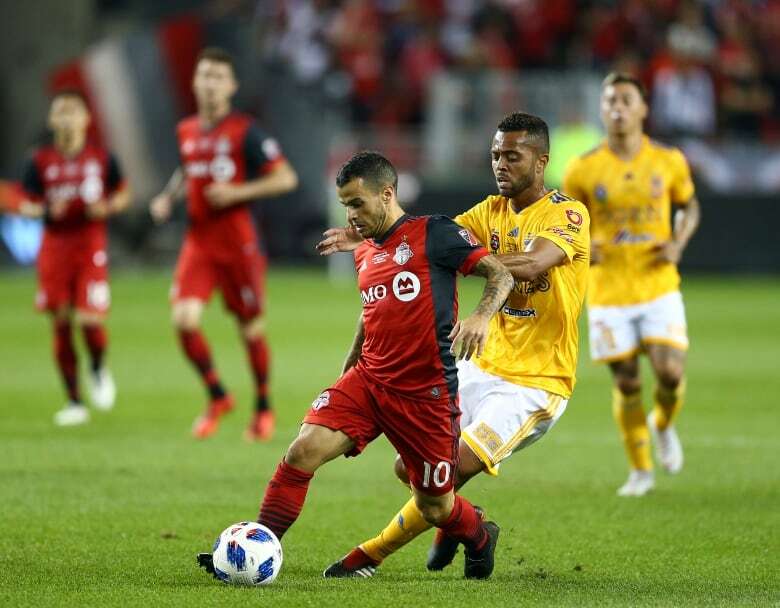 In the past few days, two of the league's big names have left for teams abroad: Atlanta United midfielder Miguel Almiron and Toronto forward Sebastian Giovinco. 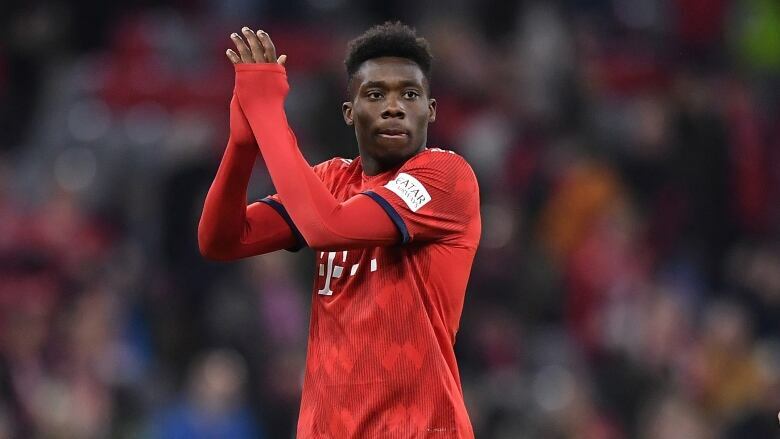 Those deals follow Bayern Munich's signing last year of Vancouver winger Alphonso Davies for a then-record transfer fee that could reach $22 million. Columbus goalkeeper Zack Steffen is headed to Manchester City in July on a transfer that may rise to $10 million with incentives, and former New York Red Bulls defensive midfielder Tyler Adams made his first start with German club RB Leipzig last week after he was dealt in December. Atlanta United President Darren Eales said Almiron's move to Newcastle United, with a reported $27 million transfer fee, is emblematic of the team's philosophy of bringing in promising young players and showcasing them. "I think we can say after this transfer window, if you're a young player, if you're a club in MLS trying to attract a player coming up to the prime of his career, you're able to point to Miguel Almiron or Alphonso Davies, to be able to say, 'Look, you can come to this league and actually now get noticed and moved on to top clubs and top leagues in the world,"' Eales said. "The increase in transfer fees for MLS players is an indication of the quality of our players," said Todd Durbin, MLS executive vice-president for player relations and competition. "Every top league has clubs that sell talented players, and MLS is no different. Importantly, our clubs use the revenue to acquire new players like Pity Martinez, which improves the quality of our teams." Davies, who is just 18, became part of the Whitecaps' residency program in 2015 and made his MLS debut the next year. He is the youngest player ever to play for the senior Canadian national team. "We continue to believe that players that come to Crew SC have an opportunity to develop and become great players either here in MLS or abroad," he said. Giovinco, the league's Most Valuable Player in 2015, doesn't quite fit the mould of an emerging player like Almiron, but he was key to Toronto's rise in recent years and one of the team's most popular players. After four seasons with the Reds, Giovinco moved to Saudi Arabian team Al-Hilal with a reported transfer fee between $2 million and $3 million. There are some pitfalls to being a so-called "seller's league." MLS must navigate player development and movement while keeping young players that are the future of the league. Atlanta seems to have struck a balance by re-signing last season's MVP, Josef Martinez. "Our view on this whole area is very, very different than it was two, three, four or five years ago. The product that we're developing has become some of the more important assets, and we need to start finding ways of protecting or finding some ways to get compensated if we can't protect them or can't sign them," Garber said. Of course, there are still some older players who have been stars in Europe that come stateside, including the Galaxy's Zlatan Ibrahimovic and D.C. United's Wayne Rooney. That model of bringing in established talent from abroad still has value for some teams, but more and more those new arrivals are trending younger. The average age of league newcomers — which doesn't include draft picks or development academy players — is 25.24, just slightly higher than the record low set last year of 24.84 years. Just five years ago, that average was 27.53 years. "The great thing is that we're in a period of growth and flux in the league. For some players, yes, there will be opportunities to go on to other top clubs," Eales said. "For other players we're hoping they commit to the league long term because we're trying to improve as a team, in Champions League and hopefully more MLS Cups to come."